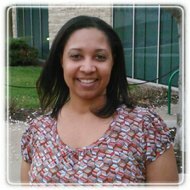 Raytown Therapist: Danience Moreland - Therapist 64133. Send A Message To Danience. I have worked in the helping field for several years. Earning additional training and knowledge working with individuals with sexual and substance addiction, severe mental illness, suicide, trauma, domestic violence, and self injurious behavior. Experience working with individuals, couples, families, and groups while working with children, adolescents, and adults. Familiar with the Family Court System in Jackson County, Missouri.